What does the rustic raw goat’s milk cheese, Ibores, have in common with many of the most famous conquistadores? Extremadura, one of the last unspoiled regions of Spain, is the shared birthplace. The traditional goat breeds that provide the milk for Ibores are found roaming free on the rugged, sparsely populated Extremadura terrain, searching out the native aromatic herbs, shrubs and grasses that add to Ibores’ complex, yet mild, zesty, slightly sweet flavor. 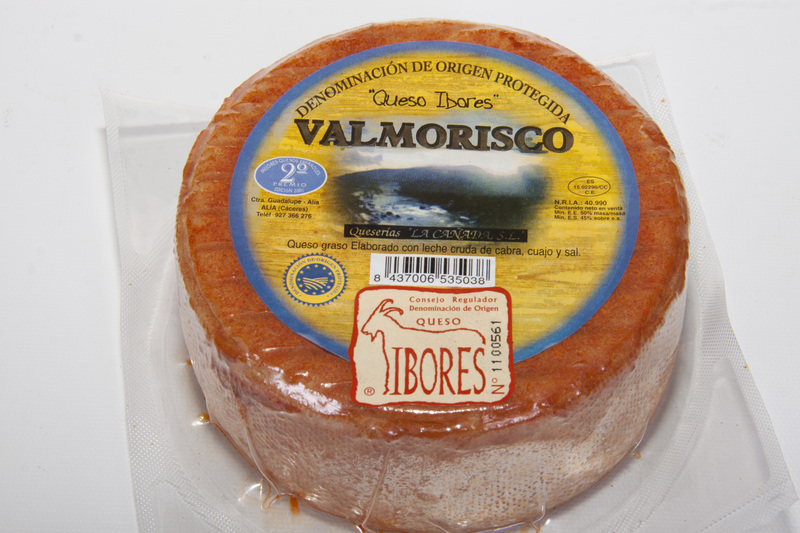 During the two month maturation period Ibores is rubbed with olive oil and sweet paprika creating a semi-hard texture and an eye-catching, rust colored rind that is striking against the pale white interior. A lovely alternative to fresh goat’s milk cheese, Ibores is deliciously versatile: hard enough to shave over salads and hot dishes or a distinguishing table cheese that goes well with cured meats, nuts, fruit, vegetables and many white or red wines. Ibores was granted DO protection status in 2005, which has helped keep the tradition of this symbolic Extremaduran export alive, highlighting the divergence in path with the conquistadores. Application: Paprika Ibores is hard enough to shave over salads and pasta or rice dishes, and is delicious as a table cheese when served with fresh fruits and vegetables. Pairing: An earthy Chardonnay or a spicy Syrah would be wonderful with this cheese. For three generations, the Campanini family has produced superior Italian rice in a small riseria under the strict supervision of the family. Campanini carefully selects rice from the the best lands and growers in the Lombardy, Veneto and Emilia Romagna regions. The company has a traditional approach, storing the raw material from each farm in a separate silo, assuring ‘homogeneity in packaging & cooking of the final product”. Each variety is 100% natural and produced without chemicals in a modern HACCP facility, guaranteeing a genuine and safe product with its full organoleptic characteristics. 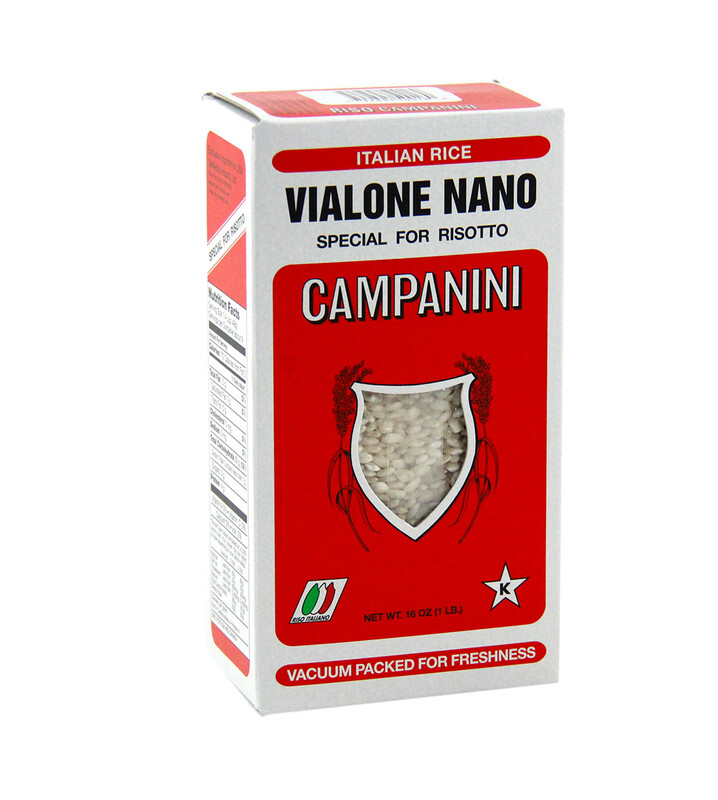 The traditional rice of Mantua and Veneto, Vialone Nano has a round, short grain with a central wide pearl. It can absorb twice it’s own grain weight in liquid and for this reason it is the ideal rice for creamy risotto with vegetables, mushrooms and meats. Cooking time is about 15 minutes.